When it comes to technical bookstores, and we mean real technical bookstores, not portals or middle men, there really is only one. And we mean that literally. 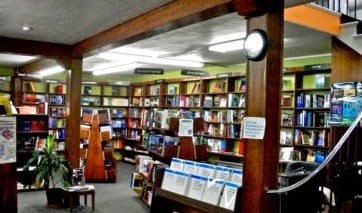 Brown Technical Book Shop is the only real bookstore of its kind left in America. It is located at 1517 San Jacinto in downtown Houston and has been in business since since 1946. But what do we mean really when we say it's the only real technical bookstore still left in America? For one thing, it's the only brick-and-mortar store still in operation. It's the kind of place you can walk right into, get expert advice from the staff, and be sure you're walking out with the right book, or books. Try doing that on one of those middle-men websites. Most of these technical books are expensive, and non-returnable, so you need to be sure you've got the right book the first time. The staff at Brown really knows their stuff. It's been said that people walk into the store without much of an idea at all what they need, and come out with a brand new career. I can see how that might happen. The store also has a website with a LIVE chat that's as close to the real thing as it gets. Hey. If you're still in doubt about exactly which book you need, just give them a call. They love talking with their customers.